HandmadeMN Fun Friday Finds ~ ARE YOU READY FOR SOME FOOTBALL? Are you going to watch the Super Bowl on Sunday? Are you hosting a party or going to a party? My husband, our two boys and I will be going over to our friend's house to "watch" the game and the commercials. Did you know that a Super Bowl fan would pay $6 to $12 to watch the first Super Bowl? You would have to pay up to $7000 today. Supposedly, around 8 million pounds of guacamole will be eaten. Mmmm, I love guacamole! I think it's really interesting that 9 out of 10 people watch the game at home or a friend's home, according to Fox Sports. 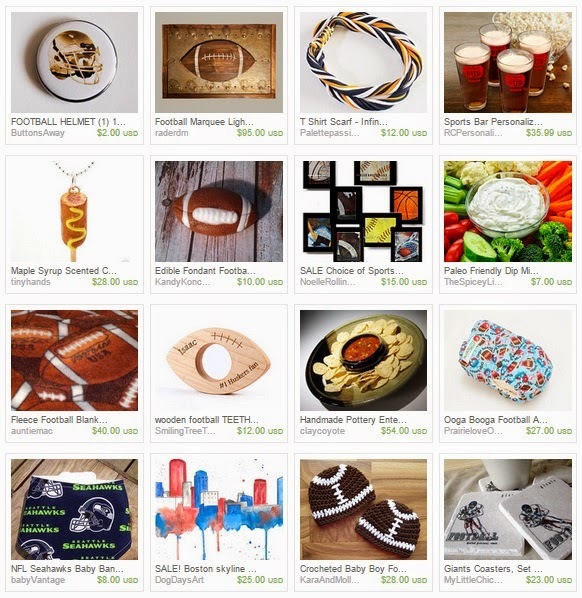 You won't find a shortage of awesome football-related items on Etsy from our HandmadeMN team and MN crafters. Stop by their shops and check 'em out! It's a new year. How can that be possible? Seems like it was just the start of 2014 to me. As a new year begins, so does a new calendar. And for me, that means taking the time to fill in all the wonderful birthdays and anniversaries, births and memorials of friends and family over the course of my lifetime to this new calendar. (This year, I got a large desk calendar with nice big squares.) I've done this every year, and find it so amazing to know so many wonderful people and their special events. With birthdays and gift-giving on the brain from my huge trip down memory lane as I wrote in all their names and dates to remember, I figured I would use it as inspiration for today's Fun Friday Finds. I hope the color choice brings some cheer to your day, and inspires you to take a trip down memory lane. Or visit a shop or two and get a jumpstart on your birthday gift stash. Happy middle of January! 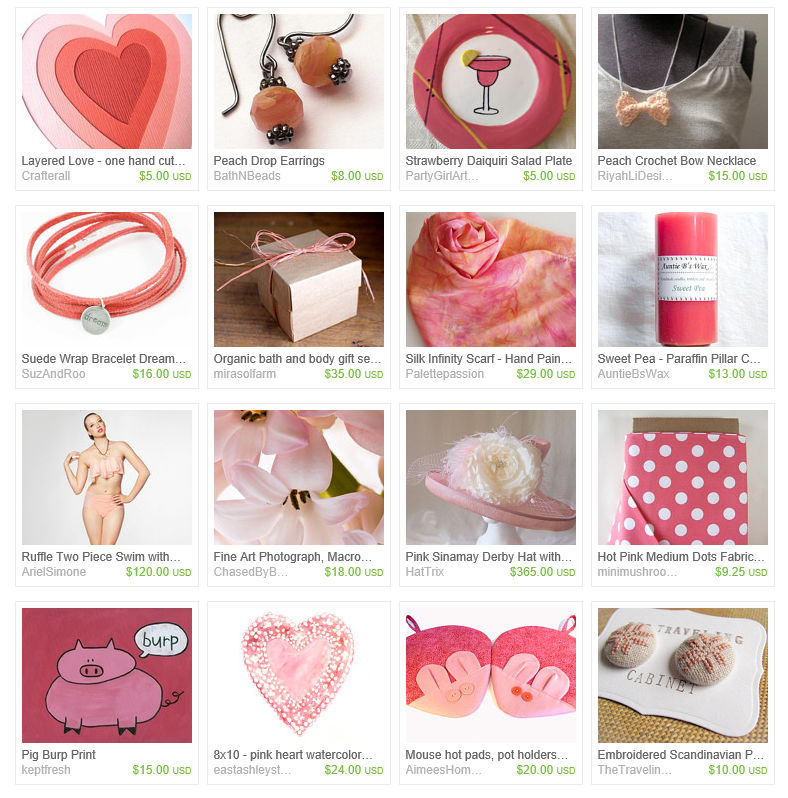 This Etsy collection is brought to you by garnet, the beautiful birthstone of my mother's birthday month. The name of this gemstone comes from the same Latin root as pomegranate (pome = apple, fruit; granate = seeds, seedy) because of its resemblance to pomegranate seeds. Although garnets actually come in a variety of colors, including blue, green and yellow, it is most strongly associated with that deep red color of the most common variety. Merriam-Webster's dictionary describes the color in rather precise terms: "a variable color averaging a dark red that is yellower and duller than cranberry, bluer and duller than pomegranate, and bluer, stronger, and very slightly darker than average wine." I didn't try to be quite so exacting as that when I gathered a collection of Minnesota-handmade items on Etsy celebrating this luscious gem and color. 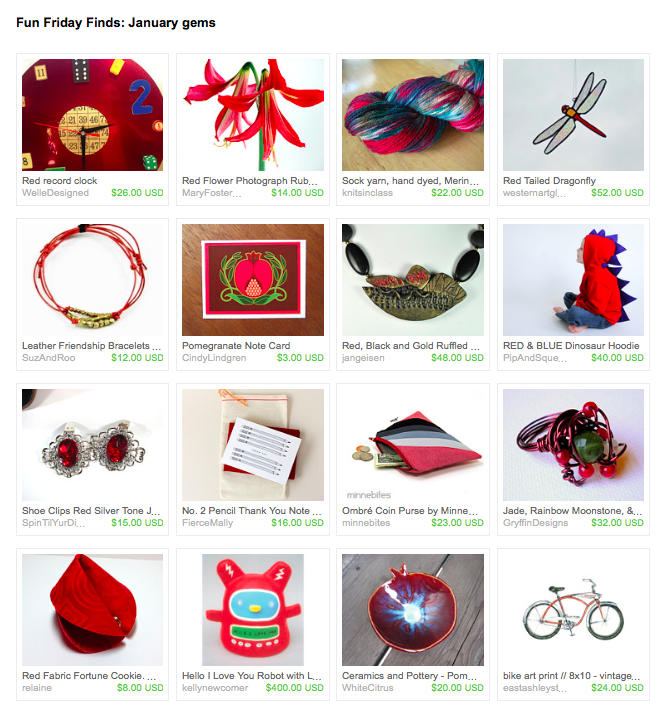 Perhaps you'll find something here for a January birthday gift. 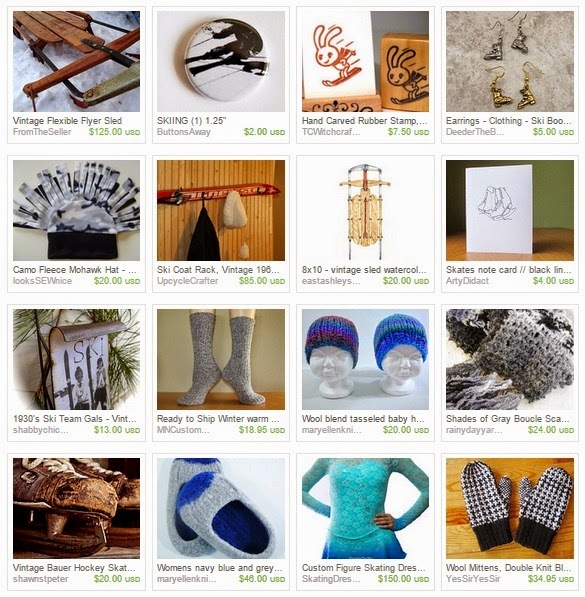 Check out our Minnesota shops for beautiful handmade items.